Everyone knows that wine is one of the leading causes of a yellow or stained smile. However, there are several other foods that can have similar effects that make teeth implants ‘pop’ in a way that you may not want them to. Here are our top five foods that you should enjoy, but in moderation, so that your smile can remain as natural looking as possible. Coffee and teas are ‘dark-colored drinks.’ Despite drinking a lighter tea or adding cream to your coffee, there are still pigment fragments that become embedded in your teeth and yellow them. This makes your dental implants really stand out, however, this also puts the discoloration of your natural teeth on display. Much like coffee and tea, curry is a spice that causes natural teeth discoloration. This spice has a very high staining factor, so we suggest that if you have a smile with single implants that you eat this type of food sparingly. While these foods are more of a danger pre-implant, this is still something to take note of before it is too late. It is a fact that the acids inside of citrus fruits like oranges and lemons have the ability to erode enamel and yellow teeth. Luckily with same-day implants, you don’t have to worry about this issue, but it is not a bad idea to start thinking about the health of your remaining natural teeth. While tomato sauce itself is very delicious, this pasta topping is bad for a white smile. Due to the acidity and bright red coloring of this food, it has the tendency to stick to the teeth and leave it stained. If you want to eat these foods and avoid taking this risk of staining your dental implants, try eating a salad. These leafy greens will help to fight off the sauces with the film that they create on the outside of your implant. Most health enthusiasts will tell you the marvelous benefits of choosing Balsamic vinegar over other types of dressings. However, while this is a healthy selection, it can do a number on your natural smile. This food could even temporarily make your implants seems darker before you have had a chance to clean them off. This vinegar is naturally very dark and has the tendency to stick to your teeth, ultimately staining it. Similar to pasta sauce, we suggest eating your Balsamic vinegar over a very leafy salad that promotes the films that naturally fight the staining elements of this food. If you have teeth implants or partial dentures and have questions about how you can take care of your smile’s color, we are here to help. Our team can answer all o your questions and make sure that your smile is the best that it can be. Likewise, if you find that you have the need for dental implants, our local office can get you the smile you need. 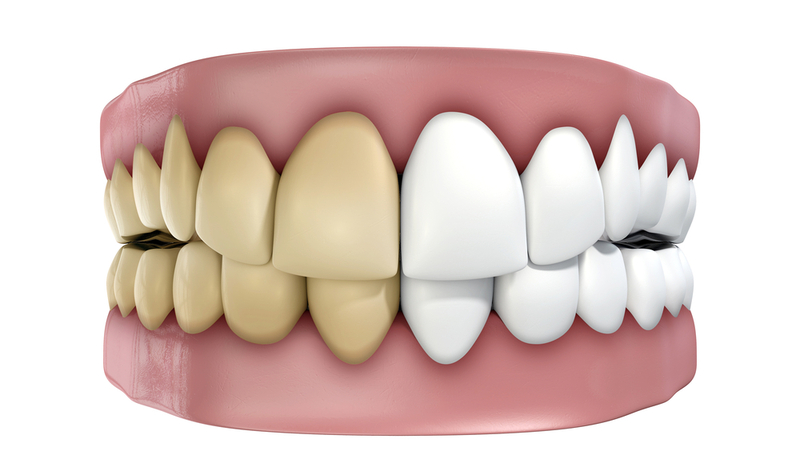 Get in touch with us today to find out how we can get you a FastNewSmile.